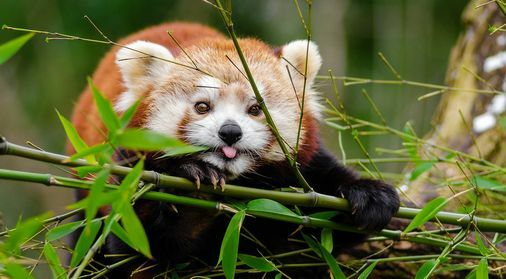 Red Pandas are cute, but don’t let that fool you. 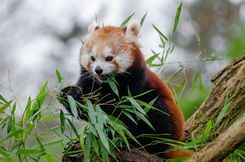 They are omnivorous, and eat anything, including plants and animals, and insects, but primarily, bamboo. 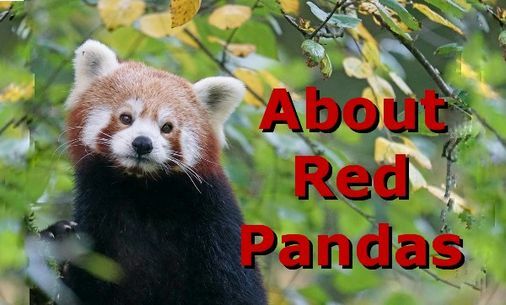 Unlike other species, red pandas are just a little bigger than a domesticate cat. They are known as solitary animals because they pretty much keep to themselves, except to mate. 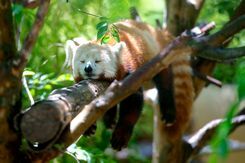 Like domesticated house pets, these pandas mark their territory by urinating on trees. Much like cats, they lick their fur to clean themselves. 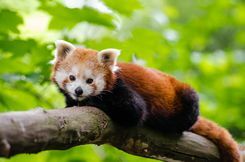 Interestingly, someone gave Indian Prime Minister a red panda as a gift, which she kept in a specialized tree house. 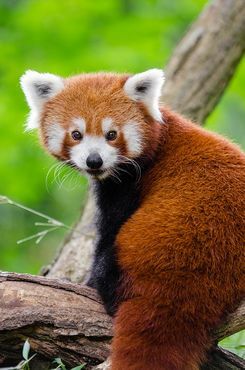 Red Pandas are in the USA, and there is an exhibit at the Knoxville Zoo, in Tennessee, which houses the 2nd largest exhibit in the world, second to The Rotterdam Zoo. 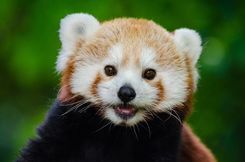 Life expectancy for these cuties is eight to ten years. 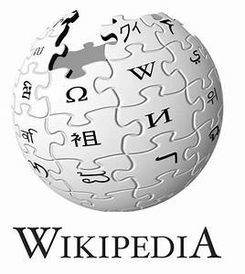 part of the Species Survival Plan.